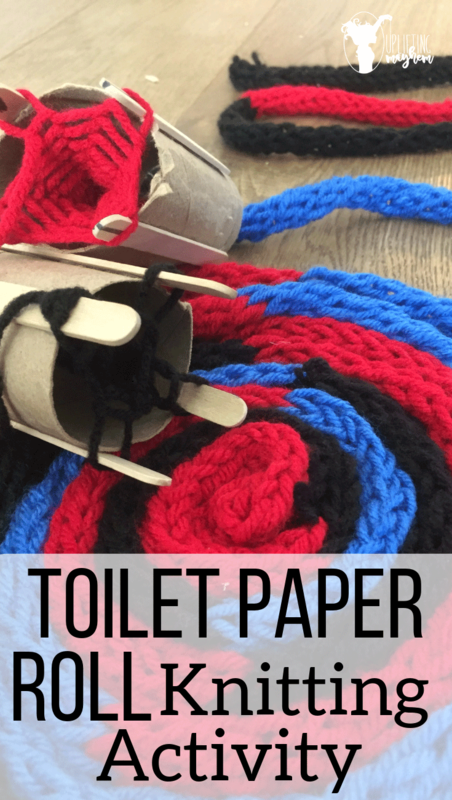 Have you ever knitted with a homemade toilet paper roll loom? If you haven’t you are missing out! This toilet paper roll knitting activity has been a hit in our house! This is the perfect activity for your kids to do while you are reading to them, or when they just need something to keep their hands busy on a cold winter day. This toilet paper roll knitting activity is only pulled out when I read to my boys. Let me tell you the excitement that arises when I say it’s time for me to read to them. They drop everything they are doing and run to go get their toilet paper roll loom. Having it brought out only during reading time keeps the activity special and new. If this is your first time doing something like this, I recommend doing only 4 popsicle sticks until your child gets the hang of it. 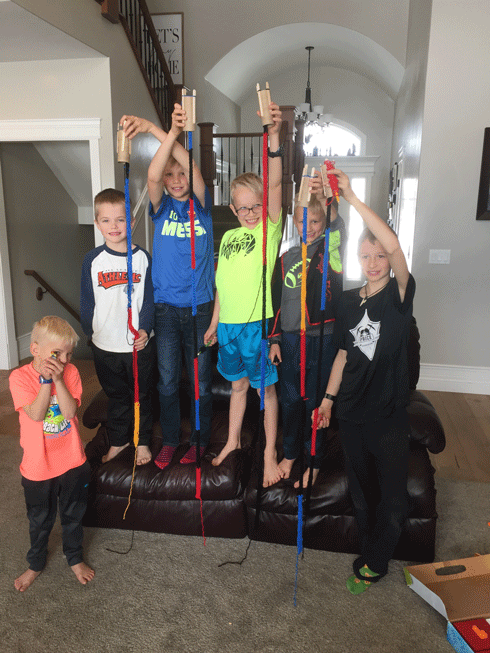 After they get the hang of it than you can add more popsicle sticks to create a bigger snake or rope. Step #2 – Get another popsicle/pencil and pick out the color of yarn your child wants. 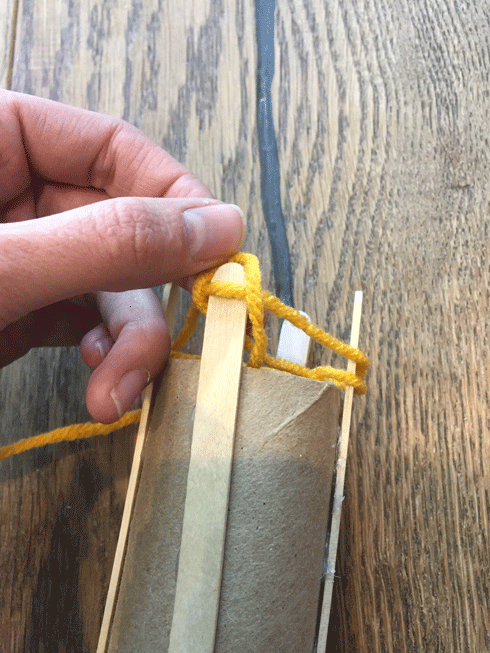 Roll the yarn onto the popsicle/pencil so your kid doesn’t have to carry around an entire roll of yarn. This makes it so many kids can use the yarn as well. 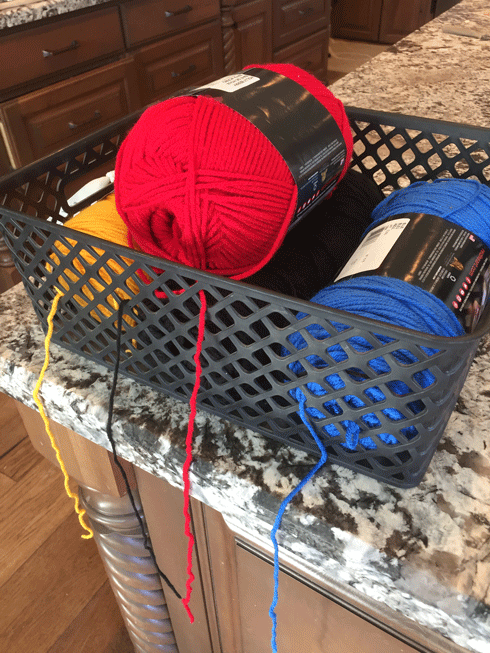 I picked out 4 colors of yarn and placed them in a basket so the yarn stays contained. 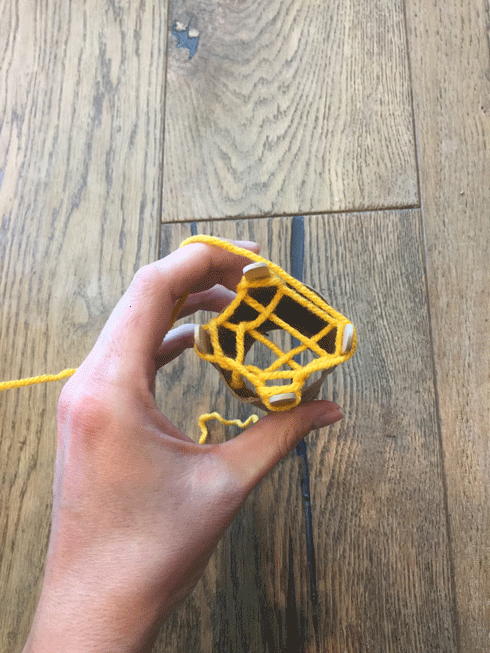 Each end of the yard is pulled out in the holes of the basket. 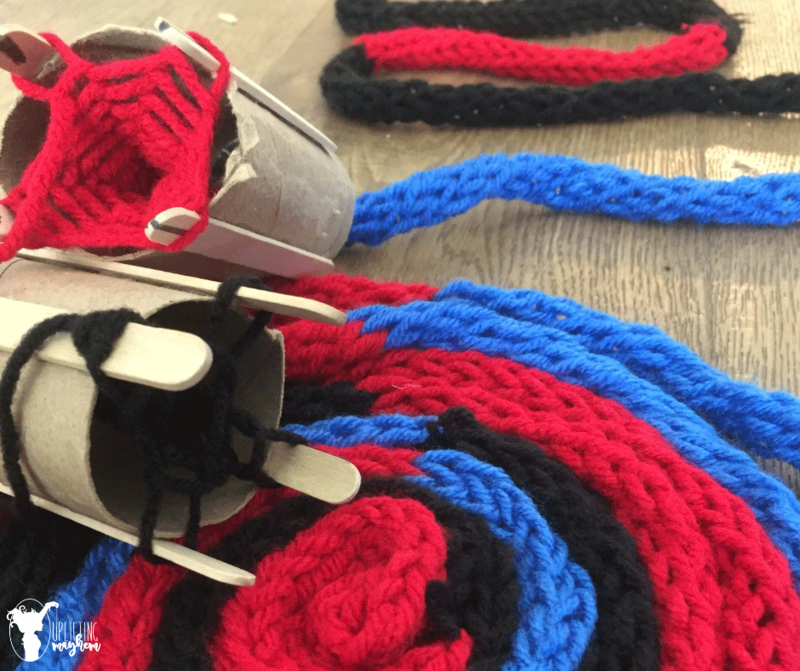 It works so well and you don’t have kids tangling up the yarn. Keep a pair of scissors in their as well so your kids can pick their next color they want to add. 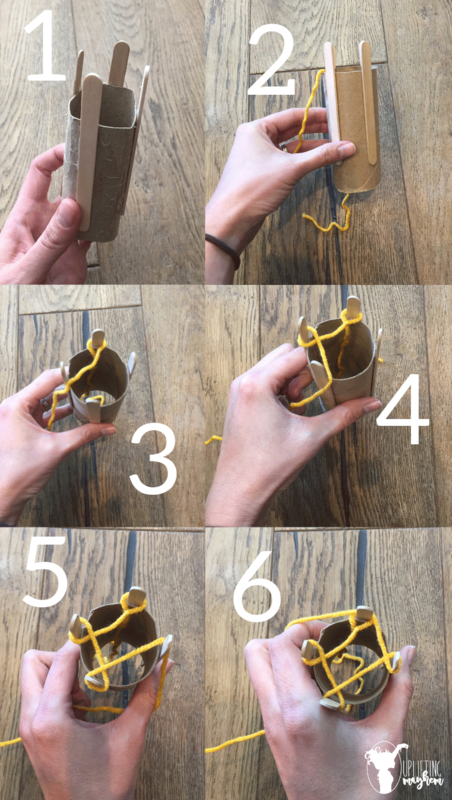 Step #3 – Place one end of the yard down the middle of the toilet paper roll and get the snake started. Here is a picture that will help you get it started. After it is started simply place your strand of yarn above the yarn on the stick. Pull the yarn on the stick up and over the strand of yarn. Rotate to the next stick and repeat. Step #4 – Keep going in a circle until you have reached the desired length you want. My boys are having a contest to see who can get the longest strand. All it takes is one good pull and the entire snake will come undone. To tie it off take the snake off the loom without pulling on the loops. Feed the yarn through each of the loops and pull tightly. This will close the end off to prevent it from coming undone. 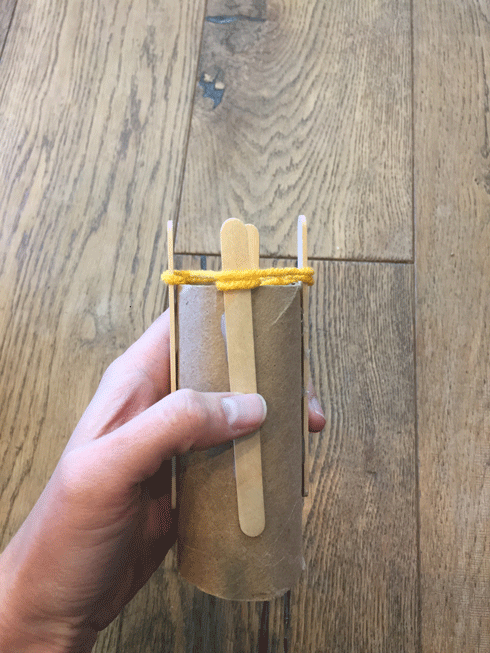 My boys have started to make bigger looms out of cardboard to make hats and socks. When they are done I will update the post so you can see how it is done!